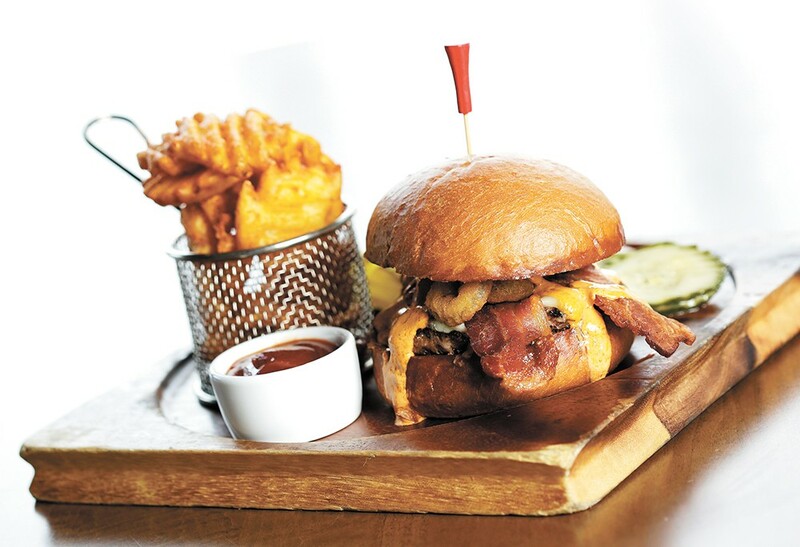 1898 Public House's Southwestern Bison Burger packs a punch. For perhaps too long, beef has played the leading role in America's favorite dish, yet more restaurants these days are branching out with other sources of animal proteins, creative seasonings and toppings to offer some more unique combinations than the traditional hamburger with cheese. From fatty, juicy lamb meat to lean and mean bison, from German-style sausage to elk you don't need a hunting license for, these four non-beef (yet not vegetarian; see page 28 for that list) burgers found locally offer an exploration of flavor not to be missed. The original print version of this article was headlined "The Other Red Meats"